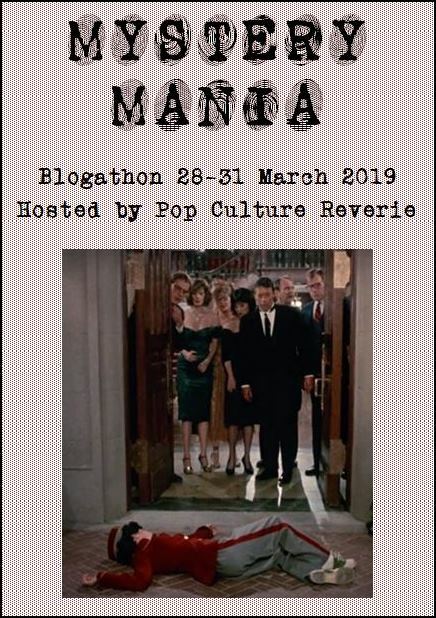 »Blogathons»Announcing the Mystery Mania Blogathon! LOVE this idea!!! As a mystery lover, it may take me a second to narrow down what I want to write about. How long do I have to get you my final commitment(s)? Any time until the last day of the blogathong. It’s better to get things in early, though, so you can be sure of getting the topic you want, particularly as I’m not allowing duplicates. Ok, I would love to write about the film “Murder By Death” for sure. I am pondering a couple other possibilities. I will let you know those ASAP. What a great idea! Could I write about The Hound of the Baskervilles (1939) for my blog Musings of a Classic Film Addict, please? An exciting blogathon and would love to take part. May I put myself down for Rebecca (1940) please? Great choice! I’m a huge Dallas fan! My grandma got me hooked when I was in preschool. I’m not exaggerating. I was the only kid in my kindergarten class who had an opinion on whether Lucy should get an abortion. Let’s just say the other moms weren’t thrilled when I talked about it in class. I’d like to do „The Last of Sheila“ please. I love, love, love that movie. I almost chose it for myself, but I thought I’d let someone else have the chance to write about it. Oh, no. Stick with it. I’m happy with my choices. I’ve wanted to break out of doing just TV and movies with my blog for a long time. That’s why I called it a pop culture blog, not a movie one. This gives me the opportunity. 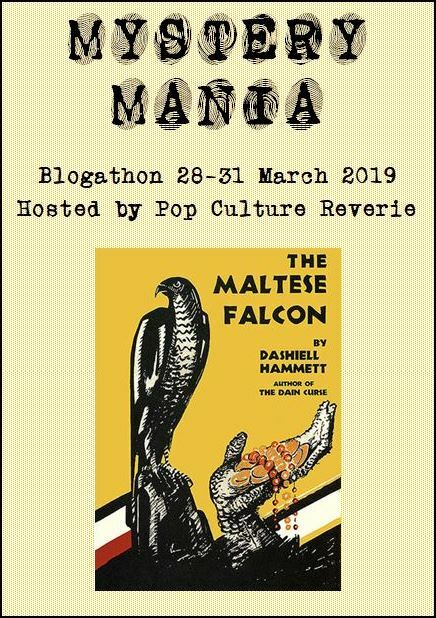 Can I do… The Maltese Falcon (1931) for The Stop Button? You sure can. I put down the alternate title in addition to The Maltese Falcon so that people who haven’t heard of the 1931 version don’t think it’s a typo for 1941.
would love to jump in with I Am Not A Serial Killer from 2016 been looking forward to watching this Christopher Loyd Mystery. I’ve never heard of that one. Sounds like a good choice. I am also going to write on The Private Eyes (1980), if that is ok.
That is a great idea! Can I please join with my review of the film “Gosford Park” (2001)? Thanks. May I do The Lady Vanishes (1938)? This is going to be fun. A great idea for a blogathon. I already write a lot about Murder, She Wrote episodes over at my blog https://themysterybuff.wordpress.com , but one thing that I’ve been meaning to do for a while is write up some posts summarizing the recurring actors and characters from the series. I think this blog-a-thon would be the perfect opportunity to do that. This would be my first time participating in a blog-a-thon. How do they work? I mean, other than writing my posts, what else do I do? 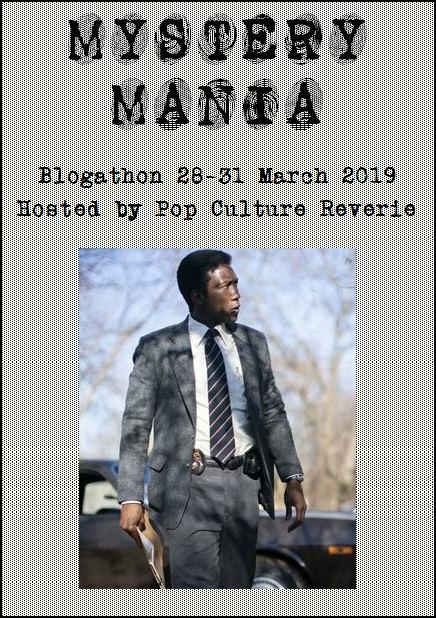 When the blogathon begins, I’ll make a hub post titled something like “The Mystery Mania Blogathon Is Here.” You post a link to your blog entry in the comments. I will link your entry to the hub page. Easy peasy. Could I write about A Canterbury Tale (1944)? Thank you! I don’t see any limitations on how old it must be. So if it’s acceptable I’d like to do a piece on why I like the Benedict Cumberbatch / Martin Freeman BBC version of Sherlock Holmes. No time limitations at all. Sherlock sounds great. Just read your blog! I, too, love Sherlock! What a great show!! Nice write up!! Hi! Can I do My Name is Julia Ross (1945)? 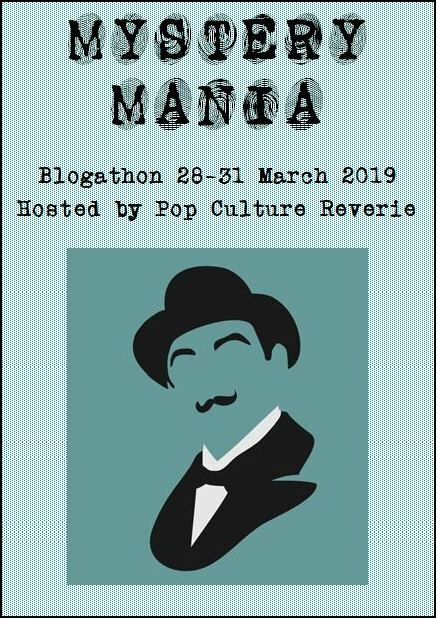 What a great idea for a blogathon! As I looked at the participation list, I was surprised to see that the television show, Murder, She Wrote, had not been chosen yet. Jessica Fletcher’s photo is on one of the banners, so I thought for sure that it would be one of the first mystery themed media to be picked. So, for the blogathon, I will review three episodes of Murder, She Wrote! I’ve never seen the show before, so this will be a new and fun experience for me! I’ve got you down. I love that show. When I was a kid, I would refuse to do my homework on Sunday nights until Murder, She Wrote was over. Thanks for adding my name to the list! Really excited for this blogathon! Not sure if my comment went through, since I don’t see it. I wanted to claim the BBC series Sherlock with Benedict Cumberbatch and Martin Freeman. Hi, I would like to write a post on Stanely Donen’s Charade. All right. I’ve got you down. Did you still want to do this one? I put you down for it regardless. No I’ll just stick with The Return of the World’s Greatest Detective (1976). I’ve actually seen that. It looked like a pilot that wasn’t picked up. That’s just my impression. I have no knowledge of its production history. I’ve got the change down. Mine is up and ready to go. Thanks again here is my post https://mda4life.blogspot.com/2019/03/every-town-has-its-monsters.html Bob From It Came From The Man Cave! Hi Robin. Would you accept a last minute entry on the film Evil Under the Sun? Go for it! I’m a last minute kind of gal.